Our house bedrooms are just of average size. It's neither too big nor too small. Just the right size. :) However, it would still be more convenient to move around a spacious room especially if you have lots of personal stuff lying around the room. This is the reason why I am constantly looking for ways to organize. I actually featured some in this blog. Now, I want to share another storage solution, it's called the "end of bed storage". 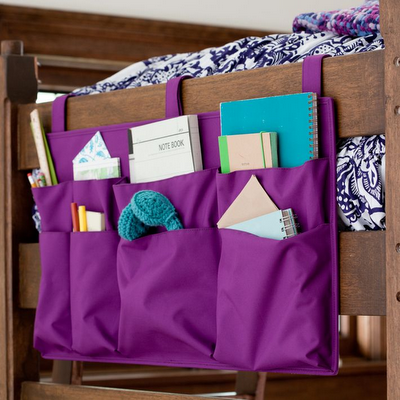 This is a cool way to store those daily notes that you would like to grab from time to time. You can also make use of this to keep your chargers and cell phone accessories in place. Sometimes, I also get too tired of grabbing these "small things" out from my closet. An end of bed storage! I saw this on sale from PBteen at $53.90. It is made of durable 600-denier polyester and features 3 adjustable velcro straps. Hmm...or if you are good in crafts, maybe you could make a similar one of different color and design, tailor made for your intended personal stuff. nice idea! thanks for sharing! :) i love organizing my stuff too. this would be perfect! This is great idea and it looks easy to make if you're into DIY projects. 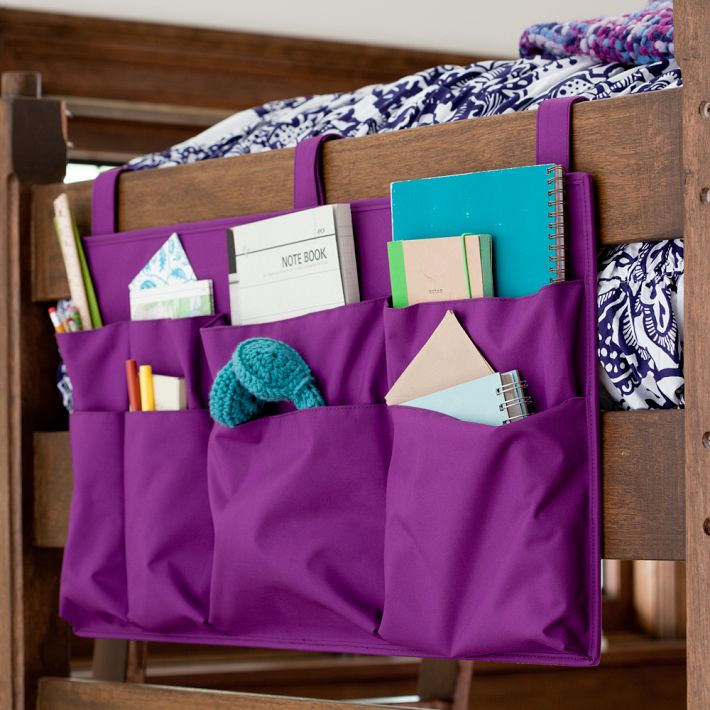 There's a similar organizer that you can place on the side of the bed which is what I prefer. It's easier to just drop in the remote control, a magazine, or a book there when I'm too sleepy to get up and store them properly.